This self catering beach house is perched on the magnificent cliffs of De Kelders in the shark diving and whale watching hub of Gansbaai. 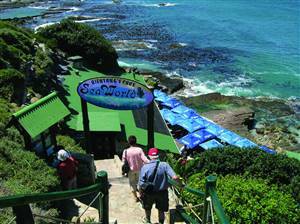 De Kelders is renowned for some of the best land based whale watching in the world during August to November. The whales come so close to the cliff edge that you will hear them breathing inside the house! The house is located in the second row from beachfront with ocean views and within a short walking distance of the pristine Walker Bay nature/marine reserve with white sandy beaches and large open caves of archaeological interest. The spacious house is furnished with Cape Cottage Style furniture and sleeps 6 people. There are three bedrooms, each with crisp white linen (100% cotton percale linen are provided). Two of the rooms have queen size beds. The third room has two single beds. There are two bathrooms, one with a shower and the other with a bath. A built in braai on the patio, large color TV with DStv decoder (bring your own card or hire from us), cosy fireplace, and double lock-up garages further ensures a comfortable stay. 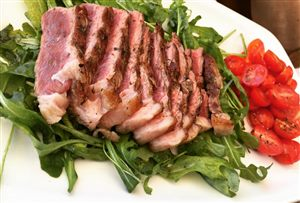 The kitchen is fully equipped with microwave, conventional oven, fridge/freezer and all other utensils.
. There is a games room with table tennis. There is a beautiful hiking trail right in front of the house that winds along the rugged, fynbos lined cliffs overlooking the ocean. Visit nearby Kleinbaai Harbour (10km away) to participate in great white shark cage diving, boat based whale watching or pleasure cruises to the seal colony at Dyer Island. De Kelders is also renowned for some of the best land based whale watching in the world during July to November. 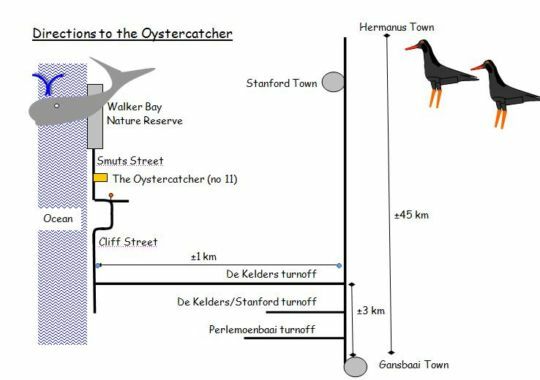 The Oystercatcher is the ideal place from which to explore the Western Cape. 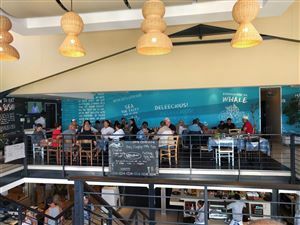 It is situated 180km from Cape Town, 40km from Hermanus, 15 km from Standford and 5km from Gansbaai Town where fresh line fish is always available at the active harbor. The Winelands are just over an hour's drive away, as are the quaint towns of Baardskeerdersbos, Napier and the southern most tip of Africa at Cape Augulhas. Please note that no smoking inside house, or pets are allowed. A 50% Deposit is required to secure your booking. Full payment before occupation. Great seaview. Fully equipped, self-catering house. 2 bedrooms with double beds, 1 bedroom with two single beds. Two couches in lounge can be used as additional sleeping space for small children. Two bathrooms. Patio with braai area, double garage. Rates per night . 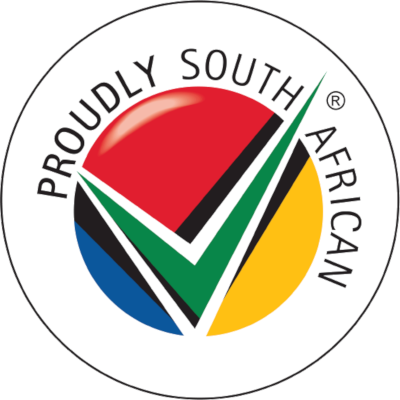 Low - 1 May - 31 Aug - R1100 per night . Mid - 4 Jan - 30 Apri - R1200 . High - 1 August - 15 Dec November - R1200 . All long weekends - R1200 . 15 Dec - 8 Jan - R1300 Please note that you cannot book for a part of a long weekend only - your stay must inlcuded as many nights as the number of days in the long weekend. The periods 25/26 Dec and 31Dec/1Jan can similarly not be split. The oven in the house was out of order. The main bedroom's bed creaks a lot whenever you move. I strongly suggest ceiling fans, seeing as the rooms get very hot. Except for this we enjoyed our stay.